Early bird tickets all snapped up! There will be further releases in the coming weeks, so if you’ve missed out, get on the waiting list! A fantastic programme and something for public sector folk to keep an eye on. How can we replicate this? Should local government look at a geeks in residence programme? Sync is a project which supports cultural organisations in Scotland, learn more about technology, come to love it, then take it back to the office/theatre/museum/loft space and do many interesting and exciting new things with it. As part of this remit, for the last several years Sync has placed a number of developers or technical designers within different arts organisations in Scotland, in a programme they’ve named Geeks In Residence. Alasdair is a Glasgow-based software and hardware developer. He recently completed an honours degree in Computing Science at Glasgow University. For a wee while now I’ve been pondering dragging ScotGovCamp down out of the attic. I wasn’t convinced there would be enough interest though. 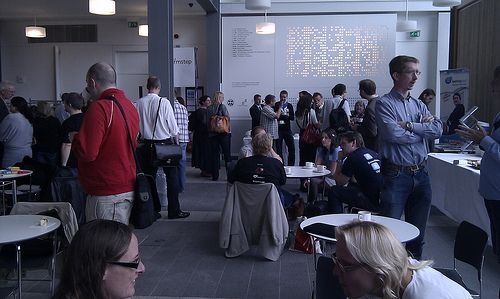 We had 100 people at the first ScotGovCamp in Edinburgh in 2010, but despite the hard work of Ian Watt, there wasn’t the turnout at the second in Aberdeen in 2011 that we’d have liked. We then had a govcamp that wasn’t a govcamp, but let’s not go into that here ;). I also wondered if we prefer to be ‘doing’ rather than ‘talking’ this side of the border – and it’s been great to see so many hack and jam events in Scotland recently. But – and nicely illustrating why it is important sometimes to ‘just’ talk – conversations with some lovely people (most recently, the one woman force of nature that is Leah Lockhart) have convinced me that, actually, there is interest. So, ScotGovCamp 2013 is well and truely on! And thanks to Mr Ewan Klein we’ll be returning to where it all began back in 2010, the awesome space that is Informatics at the University of Edinburgh. So, pop 14 September in your diary and watch this space (or #scotgc13 on Twitter) for updates and ticket availability. One final thing. I subscribe to the Steph Gray and Dave Briggs school of thought on running govcamps – ie don’t mess with a winning formula – so this will be a govcamp, and only a govcamp. If anyone wants to organise related/fringe/concurrent events (hacks, jams, whatever) they are very welcome to do so. Oh, one final, final thing. As with all govcamps, this one will be free to attend. Which means it will be funded by lovely sponsors. There’s some money in the kitty already, but we could always do with more. And, of course, offers of other kinds of help and support also gratefully received! A partnership between Scottish Government, Scottish Futures Trust, Edinburgh Council, Fife Council and Improvement Service has given birth to the (very softly launched) Local Space scheme. Local Space is ‘in response to a need to help change and improve office working practices within the public sector’ and allows public sector people to book space at two locations in Fife and one in Edinburgh- all public sector buildings. I’ve booked space at Edinburgh’s Waverley Court building quite a few times now and apart for some confusion with the switchboard staff and reception staff the whole process is smooth. Spaces are booked through the Facilities Management team and when you turn up at reception on the day it’s an easy process to get in and find your desk. Alternatively (and this is what I have been doing lately) you can just park yourself in their cafe or courtyard meeting areas and use the wifi. Brilliant. You use your own machine or device so issues about security are mostly on you. 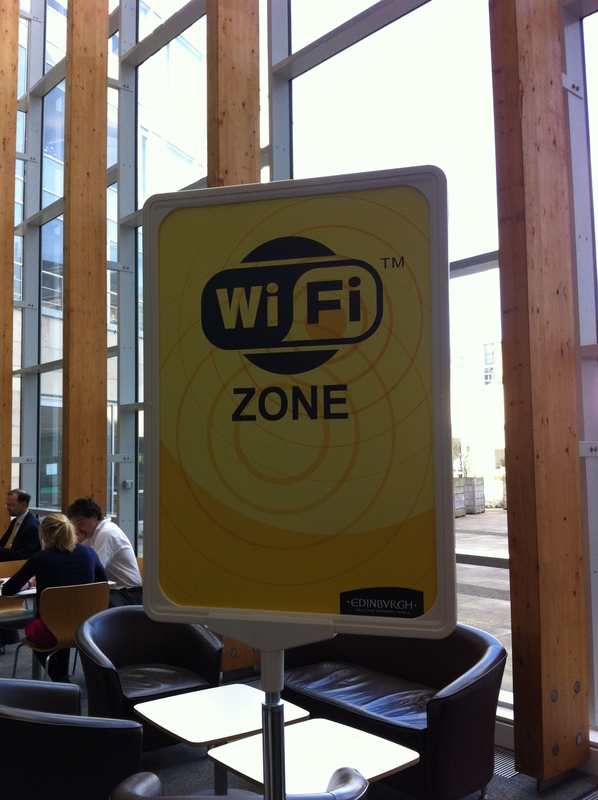 The wifi and internet connections provided are off the council’s own network but presumably secure. I’ve booked in to have a meeting with a colleague from a different public sector organisation at Waverley Court later this month so it’s handy for meeting people in Edinburgh in a city centre area that is right next to the train station. Have a go and see what you think. I don’t know what future plans are but I would hope the Local Space team would like to hear from other councils or public sector organisations who would like to open up their buildings for use. After the previous post garnered some interest, I’ve gone ahead and done it! The inaugural Glasgow TeaCamp is next Thursday (9th May) in CitizenM! Suggestions for a topic of discussion or should we leave this until the day?